Next day on April 14, the Reisai day, the schedule is filled with more ceremonies and events. 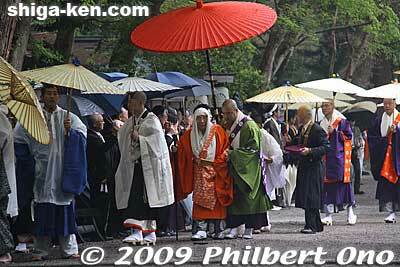 At 10 am, the Reisai ceremony is held at Nishi Hongu with the Tendai Zasu Abbot from Enryakuji in attendance. He is under the red umbrella.